John Wilcox, the Chairman of Sodali commented, “that directors of U.S. companies are not ready for open dialogue with their investors, even on a narrowly defined topic such as corporate governance and the annual meeting. The reason they are not ready is because U.S. companies – and boards in particular – are generally on the defensive in their communication with shareholders. 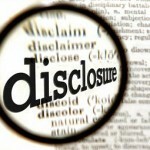 Instead of communication, U.S. companies practice disclosure. Disclosure is defined by prescriptive rules and enforced by liability and regulatory penalties.” This, he says makes “boards and shareholders mistrustful of each other and relies on adversarial modes of engagement. In this environment, Washington will continue to regulate, with many unintended consequences until CEOs and their boards see shareholders as part of the governance process and critical to not only their long-term health but the health of capitalism in the 21st century.